Great place. High pricesubmitted by Connor R. - Jan 30, 2018 |Recommended: NoThe place is nice, the rooms are big, and it's nice having two fridges. The only draw back is the staggeringly high price tag that comes along with it. Parking for visitors is non-existant, and if you want to park your vehicle here, it's an additional 75 A MONTH, on top of an already high price tag. If you never have had to work a day in your life or never have had money issues, live here But if that's not the case, better find somewhere else. response from property - Feb 13, 2018 Thank you for the review, Connor! We agree, street parking is a struggle. :( We hope you enjoy living here regardless of parking, though, because we love having you here! response from property - Feb 13, 2018 Thank you for the review, Aleah! 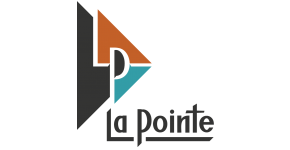 We love having you here and truly hope you enjoy having La Pointe as your home! It's a beautiful place, the staff try their hardest to keep it clean and nice for their residents.submitted by Merissa S. - Dec 11, 2017 |Recommended: YesIt's a great place to live the staff tries to keep it as clean as they can. You can hear people in the halls and below you really well. A little pricy for student living, but you have beautiful living areas. Friendly staff and they have a lot of fun activities for the community. Convenient place to livesubmitted by Kylie W. - Dec 08, 2017 |Recommended: YesThe location is great. Just wish there was more parking and the staff was more accommodating. Overall, It's very nice and clean. La Pointe is an amazing place to livesubmitted by Keyla V. - Dec 03, 2017 |Recommended: YesLiving at La Pointe is a lot of fun. It's way cleaner and nicer than the other off campus student apartments. Great Apartments with great benefits submitted by Bailey M. - Nov 14, 2017 |Recommended: YesLa Pointe apartments are the best apartments available to students in this area. Nice for Student Housingsubmitted by Kallie S. - Nov 13, 2017 |Recommended: YesWhat else can you expect from student living Staff is friendly and helpful and answer all questions to the best of their abilities. Apartments are furnished and decently constructed. It can get loud, especially on weekends because it is advertised as off-campus student housing, but the staff does a decent job at making sure it is not too loud at all hours of the night. Heat and AC function fairly well. Parking for both cars and bikes is a little tight. response from property - Nov 16, 2017 Thank you for the awesome review, Kallie! We know it can get pretty noisy around here, so if it ever becomes a major issue, please don't hesitate to let us know or call our on-call available to you 24/7. We hope you'll stay with us another year! Best apartment I've found for students in Boise.submitted by Heather C. - Nov 13, 2017 |Recommended: YesThe closeness to campus combined with the amenities and design of this building make this my favorite apartment I've lived in. I've lived on-campus, off-campus, and in other student centered complexes and this is by far the best one. Parking is 100 covered, so no worry about weather issues. The podium has plenty of room for all kinds of recreational activities. The staff is always welcoming and helpful. The community feel is great with events being offered multiple times a month. I've yet to feel at home in Boise until I moved here. response from property - Nov 16, 2017 Thank you so much for the amazing review, Heather! We are so glad you enjoy it here because we love having you! I reccommendsubmitted by Sneha R. - Nov 03, 2017 |Recommended: YesIts very peacefull and convinient. It is a quality complex that is run phenomenally.submitted by Connor K. - Jul 26, 2017 |Recommended: YesYou never have to worry about anything being filthy or broken.